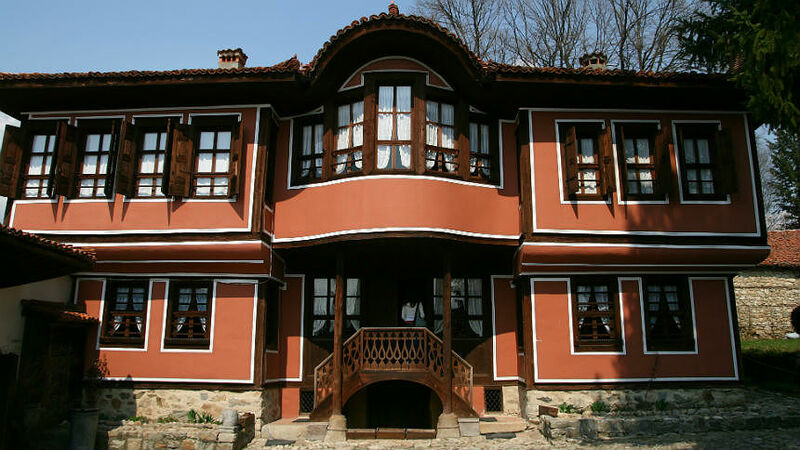 Daily Excursions From Sofia - Koprivshtitsa. 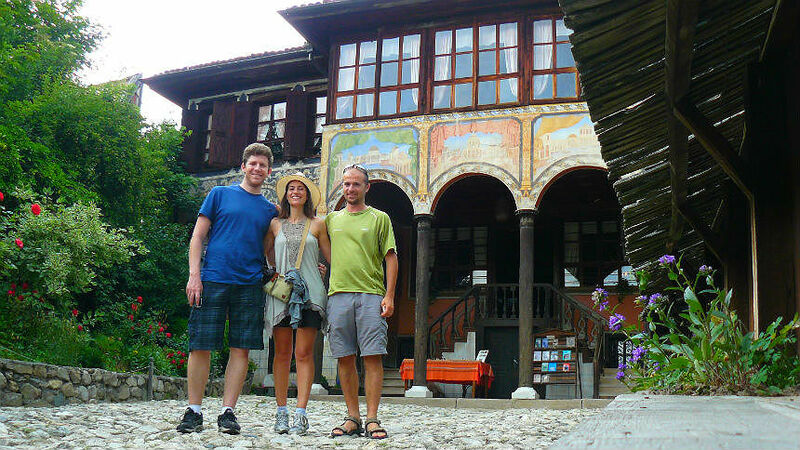 Short Breaks And Long Weekends In Bulgaria. 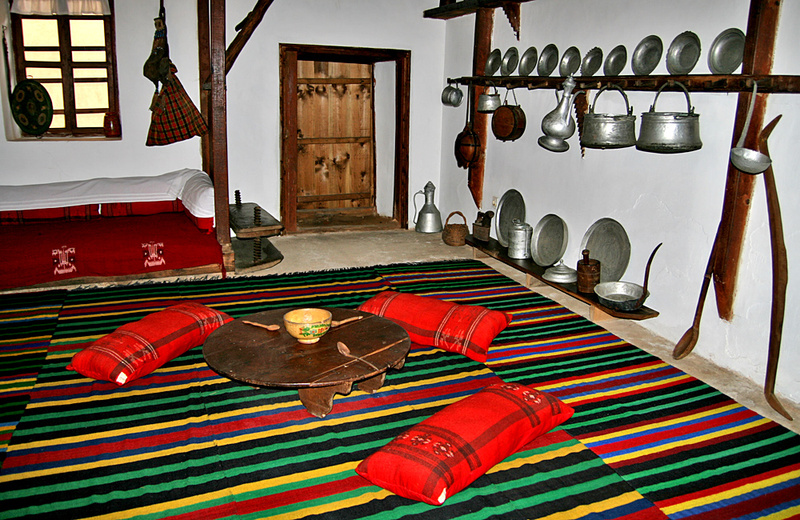 ->> Exceptional natural sights of the Balkan and Sredna Gora Mountains. 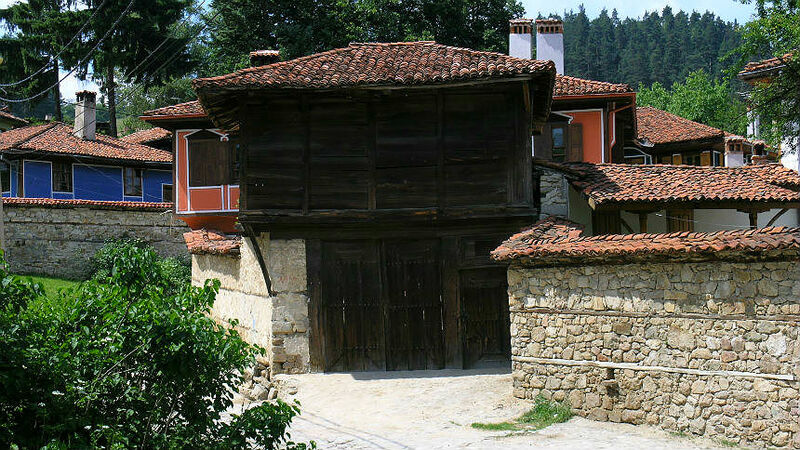 The town of Koprivshtitsa is located at 1060 m a.s.l. some 110 km south-east of Sofia. It is a 2-hour transfer along a road, which passes via small valleys and traces the southern foothills of the Balkan Mountains. 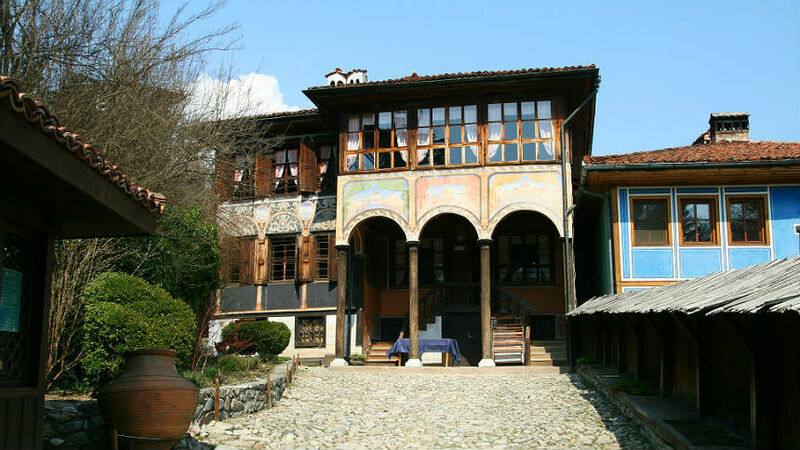 Probably, the best way to understand the roots of the Bulgarian Renaissance Period, is to learn more about Koprivshitsa's 19th houses with their colorful courtyards, surrounded with high stone walls and gates. The disorderly built curved and narrow cobblestone little streets and plots and the numerous stone fountains contribute to the attractiveness of the little town. Many of these houses are turned into museums, but each one has its own identity, which correspond to the main business and the size of the family of its owner. Another place of interest is the church "The Assumption of the Virgin" and the "Mausoleum - Ossuary - 20 th April" devoted to those who died during the April Uprising. The walking tour is about 2-hours and you will also have free time for lunch and shopping. 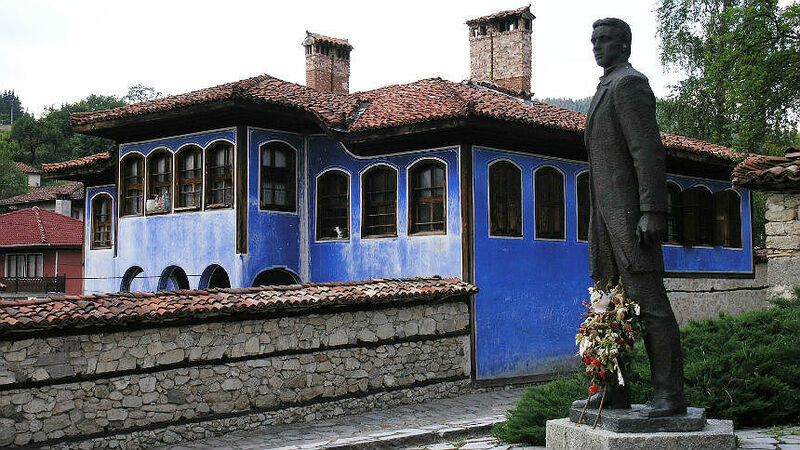 On the way back to Sofia, you will travel through a different route, which will goes throught the valley of Strelcha, famous for its rose oil yielding rose bushes, exceptionally picturesque during May and June. Pickup: 9:00 from the backside of Alexander Nevski cathedral (Restaurant La Cattedrale). Hotel pick up is optional. Expected time to return to Sofia is 17:00 pm. Price: 1 pers. 110 Euro; 2 pers. 60 Euro/pers. ; 3 pers. 49 Euro/pers. ; 4-7 pers. 46 Euro/pers. ; 8-12 pers. 43 Euro/pers. 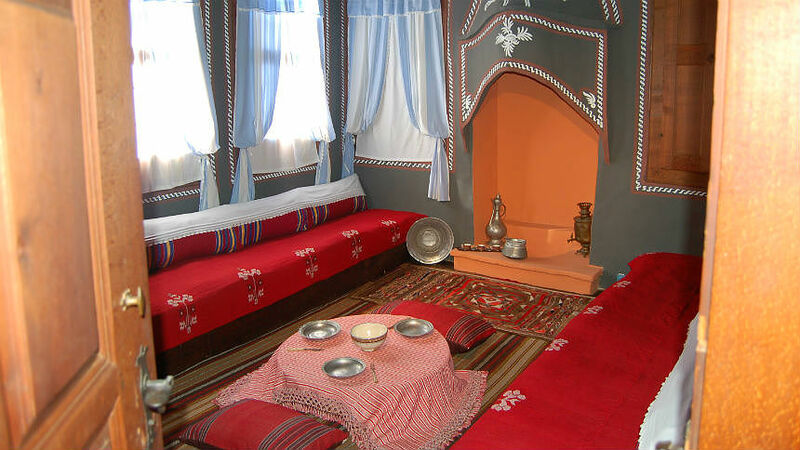 The price includes: English speaking guide throughout the tour, transportation with modern vehicle equipped with A/C.